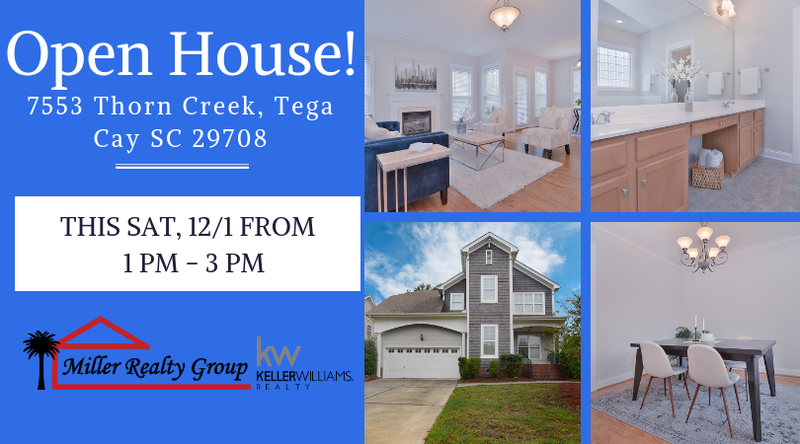 You are here: Home / Tega Cay, Fort Mill Real Estate / 7553 Thorn Creek is having an OPEN HOUSE! 7553 Thorn Creek is having an OPEN HOUSE! 7553 Thorn Creek is having an OPEN HOUSE this Saturday, from 1 PM – 3 PM! Click here to see more information?on this great Tega Cay home or call one of our Buyer Specialists at 803-220-0055 now to get the scoop. Otherwise, We’ll see you at this weekend’s Open House!